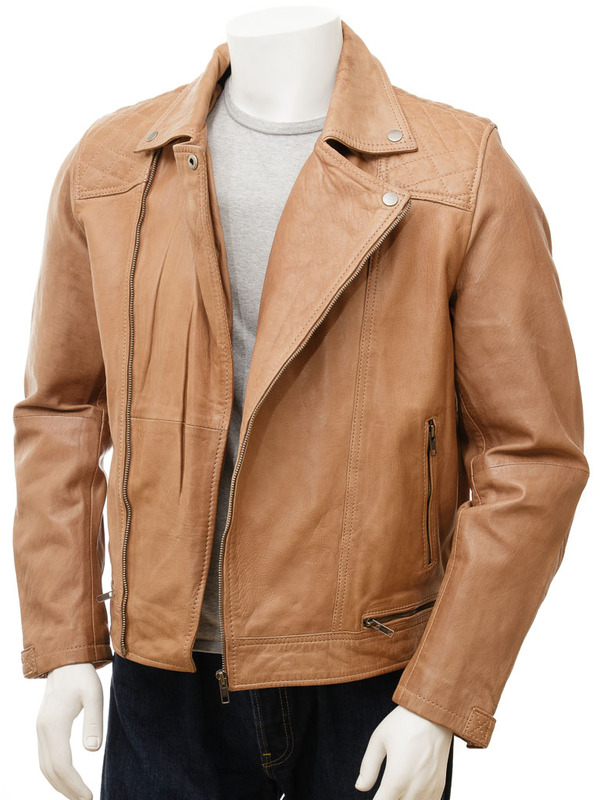 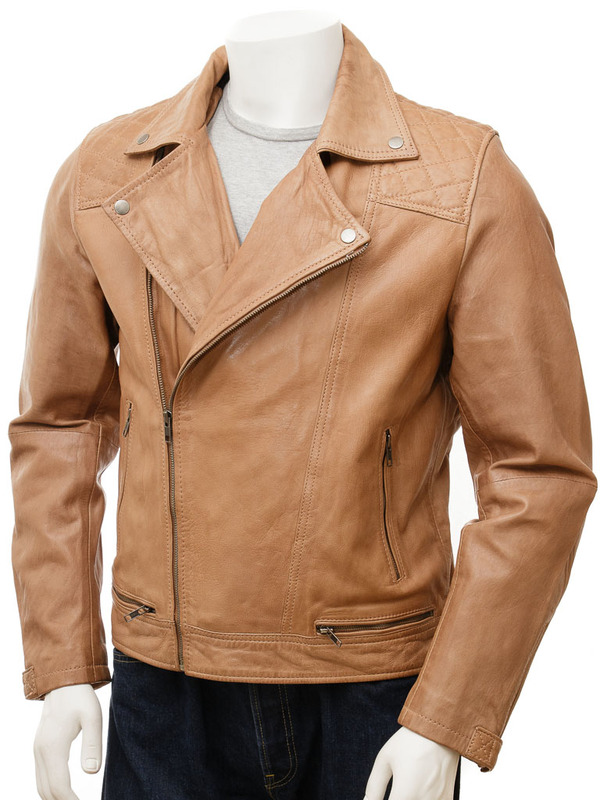 A striking leather biker jacket in a washed, light tan, sheep aniline hide. The style consists of an angled YKK zip extending up over a double breasted front with notched lapels. 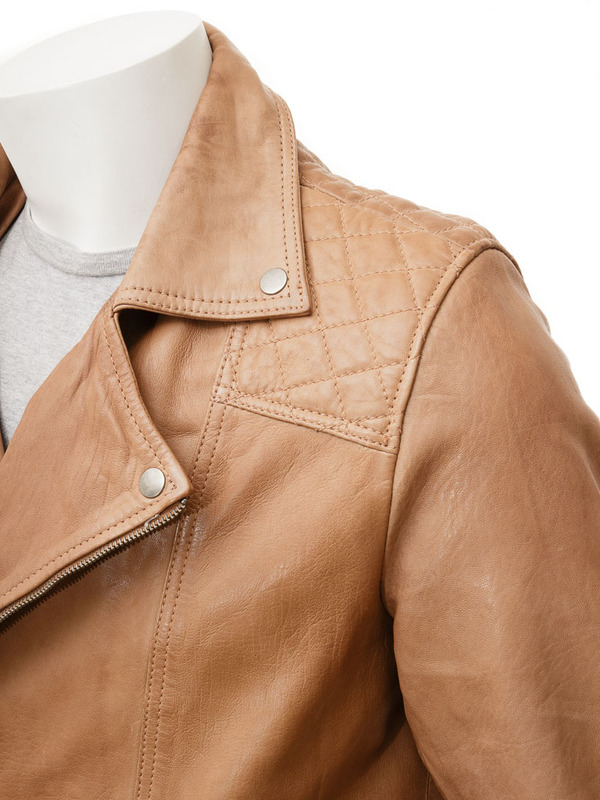 The shoulders have diamond quilted panels while the body contains two zipped pockets. 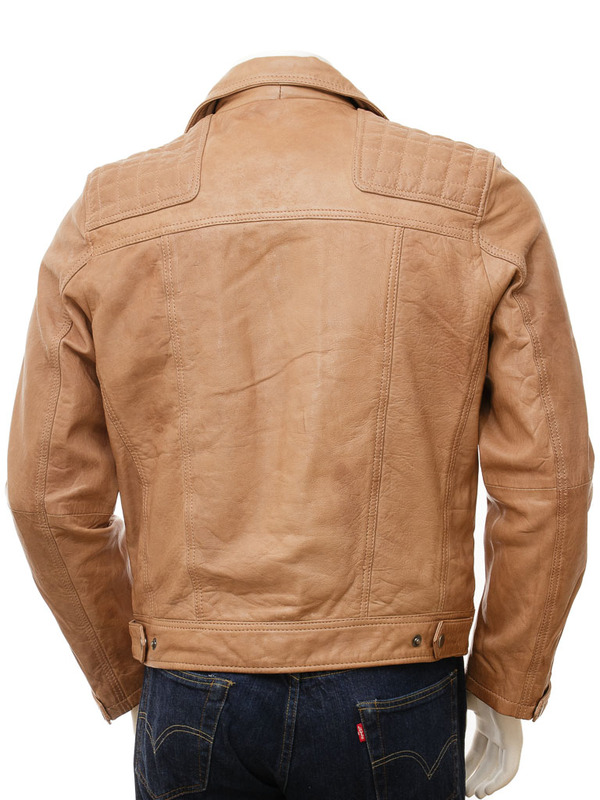 The cuffs are typical biker style with a zip gauntlet plus a press stud fastened tab strap. 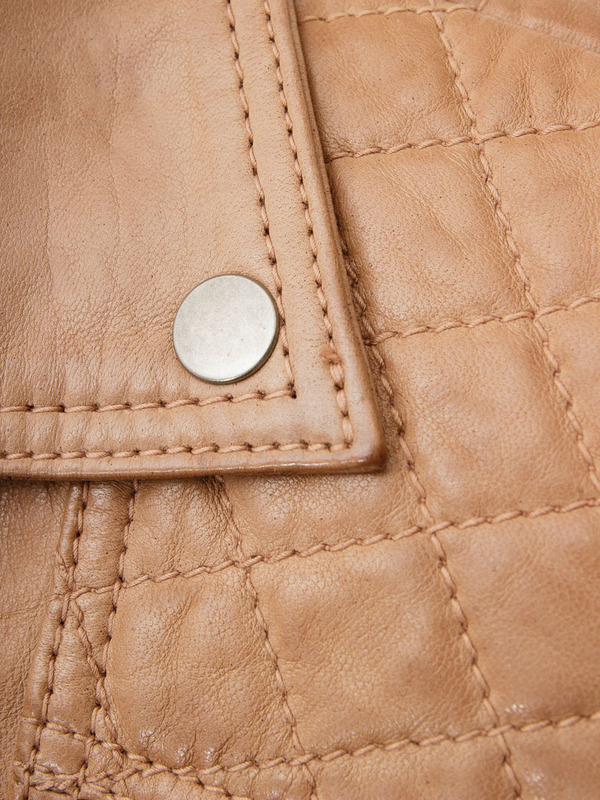 Press stud waist adjusters allow the fit to be dialled in more precisely.